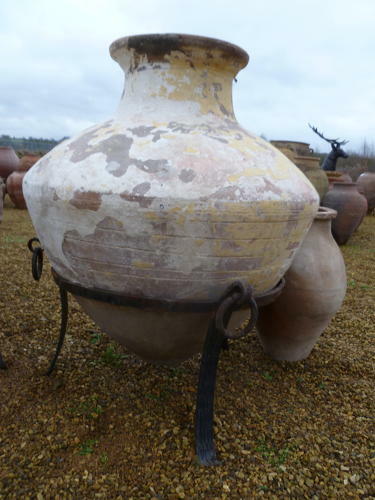 Antique olive jar - original 150 year old oil jar 95 cm tall inc stand. Very very rare to find. All our jars are in great condition, We have hundreds of antique olive jars for sale , in fact without doubt the largest selection in the uk. We have sourced hundreds of jars from turkey and Crete. All manner of shapes and sizes. Call Chris Hamilton for wholesale enquiries on 07850 999522 .